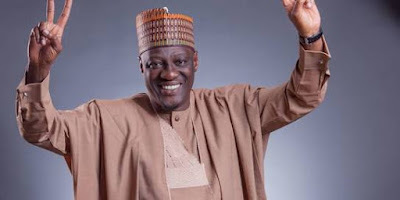 The Special Assistant on Non-Governmental Affairs to Governor Abdulfatah Ahmed of Kwara state, Mr Abdullahi Danbaba, has resigned his appointment to stay in All Progressives Congress (APC). Danbaba announced his resignation in a letter obtained by the News Agency of Nigeria (NAN) in Ilorin on Sunday, which was addressed to Gov. Ahmed through the Secretary to the State Government (SSG). “As a result of that political development, the people of my constituency in Kaiama local government felt they would not go with Saraki any longer because they have suffered protractedly lack of infrastructure development. “And as a result, they would not toe the path of Saraki and I have consulted widely with my people and in view of the fact that the community suffered for a long period of time, I should also disengage from this government and come home and join the people’s party; that is the APC”, he said. “Buhari since his political foray has been consistently winning Kaiama local government. “This is because we believe in his leadership; we believe he could provide effective leadership to the nation,” he said. Danbaba also applauded the Social Investment Programmes of the Federal Government, saying Kaiama had benefitted tremendously from.